Changing a residence is a major life event for everyone. It is filled with the complexity and tension of identifying the “to do list” and all the decisions that must be made. We help families with both the emotional and physical aspects that arise when changes in home environment occur, either out of choice or by necessity. Having a support system for people of all ages is essential when family members are not available to help with the process. 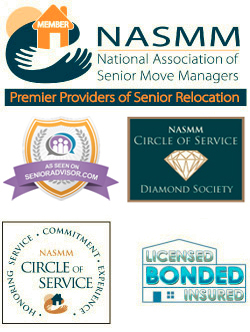 We have all the resources and service providers that are needed for a smooth, cost-effective move. Serving: Los Angeles, San Fernando Valley, Santa Clarita, and Southern Ventura County.